I love living in Northern Virginia because of all the different events and places to go to in the area. Since it's pumpkin season, I wanted to take Michael to a place to go and pick pumpkins from the field and experience something Jon had done when he was little. His mom had told me that Jon's grandparents had taken him and his sister to a place in Winchester, VA and I thought that Hill High Farm was the place. I later found it that it probably wasn't. 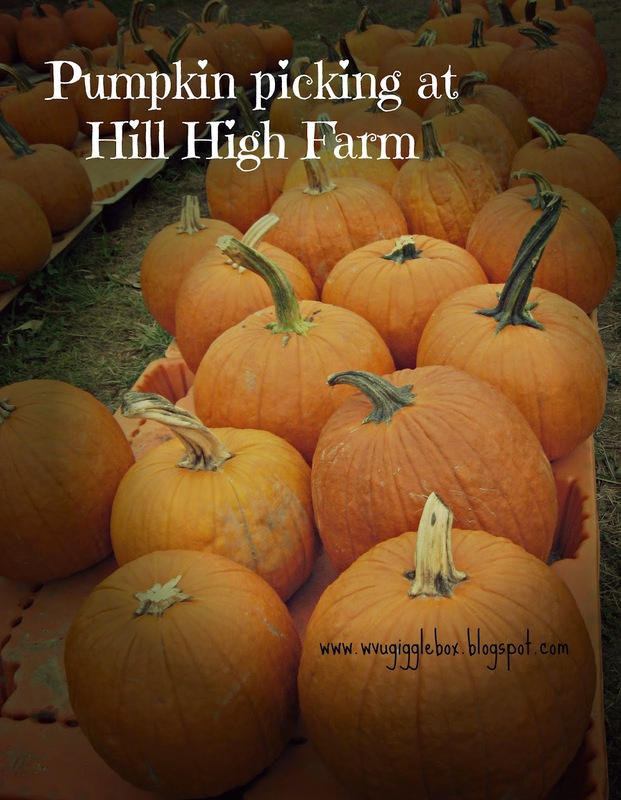 Hill High Farm is a working farm for over 100 years in the same family and has been hosting the pumpkin patch for over 17 years. They have an 8 acre corn maze as well as taking a hay ride to the pumpkin field to pick you very own pumpkin. The hay ride includes the pumpkin that you pick in the field. Waiting for the hay ride to start. 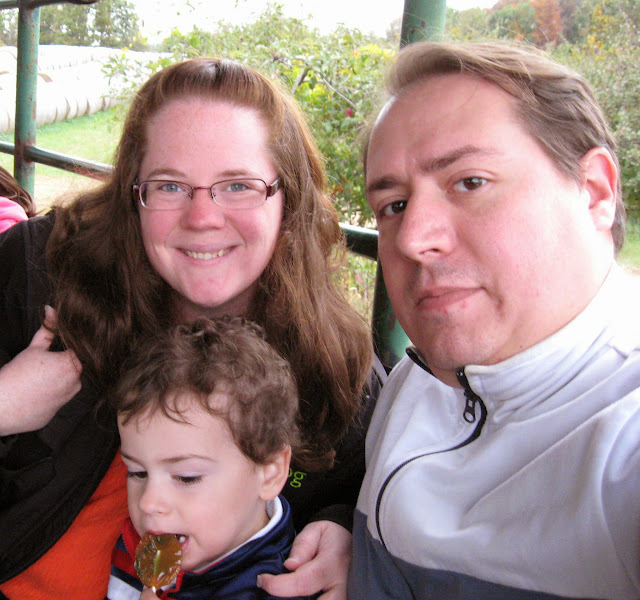 We bought Michael a caramel apple sucker as an incentive to have him sit still on the hay ride. He loved it and it lasted the whole entire time we were there. Off to look for that perfect pumpkin. We ended up walking to close to the end of the patch to find three perfect pumpkins in Jon's eyes. There they are! It was so awesome to be able to go out in the pumpkin patch and pick out our little pumpkins. 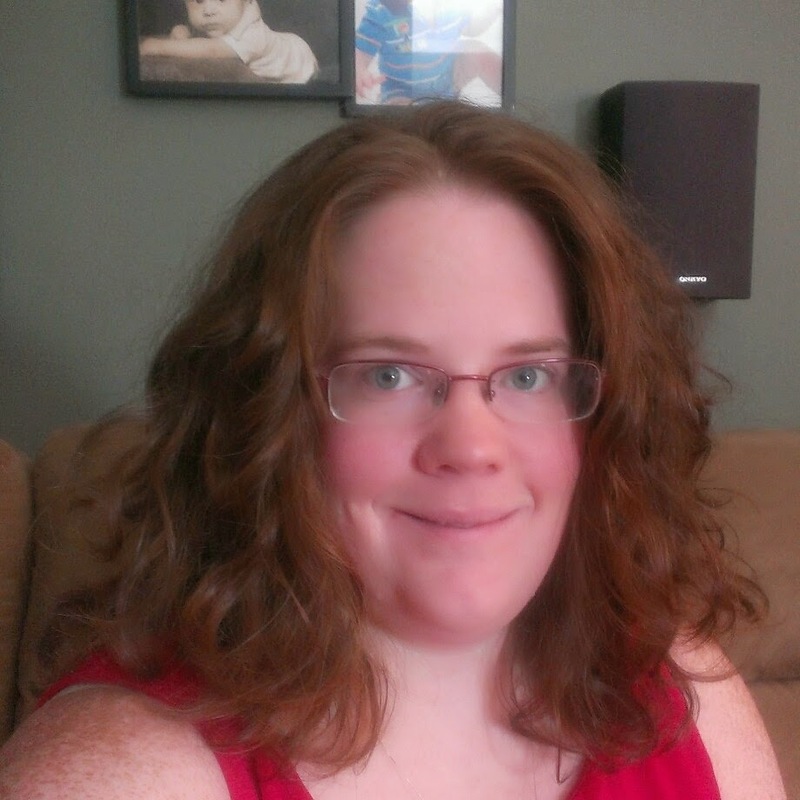 This is the owner of the farm. 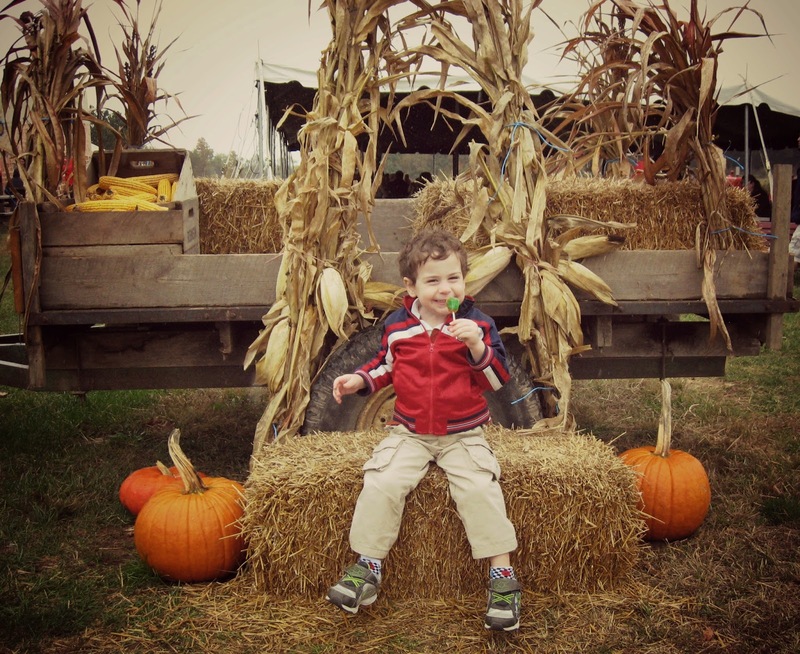 He hopped on the wagon after we picked our pumpkins and told us about the farm and all the animals that were on the farm. When we got off the hay ride, Michael went straight to this pirate ship and played on that. He then wanted to go to what he thought was a bouncy house. It wasn't and he was very unhappy with what it really was, an inflatable hunted house. We made up for it with this tractor/train ride. Look at that smile! You wouldn't think that he was screaming like crazy a few minutes before this. While we were waiting for Michael to come back from his ride in the fields. They have several different places to take some awesome Fall pictures. I just love the picture we got of Michael before we left. You can also bring your own lunch or buy it there and make it a day. They have a big tent with picnic tables under to eat at. There are also all the farm animals that you can visit. We all had a good time and Michael asked if we could go back again. I think we might make this a family tradition. 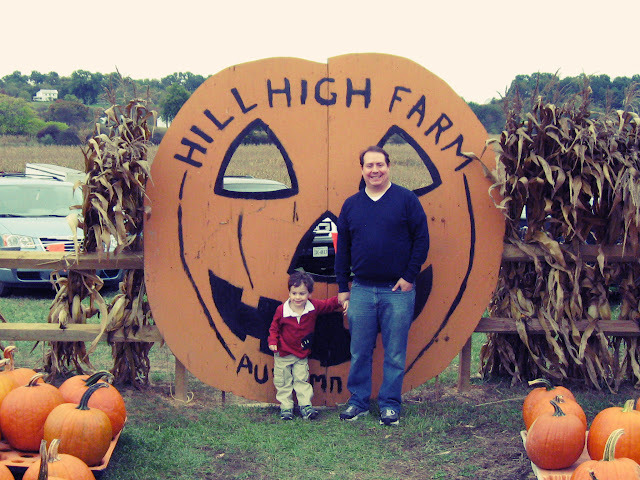 If you live near Winchester, VA I would recommend taking your family to Hill High Farm and make some wonderful Fall memories.